To be a student-centred, dynamic and innovative, world-class multi-campus college, promoting excellence in teaching and learning, serving diverse communities and producing lifelong learners who can compete globally. NIHERST Colleges (Information Technology College, College of Nursing, College of Health Sciences, School of Languages, Business Management Division and General Education Divisions). From 1998 to 2000, a Community College Implementation Team (CCIT) established under the jurisdiction of NIHERST, was assigned the primary responsibility of planning the establishment of the national community college. Given that the constituent campuses of the proposed community college had diverse and different educational mandates, programmes, systems and resources; the focus of the CCIT and the six technical teams which comprised representatives from all of the campuses, included assessment, rationalisation, harmonisation and planned upgrade of the academic programming, as well as, the physical, technological, and human resources of the constituent campuses. To strive to be a centre of excellence for scholarly work and applied research. Career education: preparing students for employment at the paraprofessional, technologist and mid-managerial levels in a variety of disciplines. Transfer education: preparing students for future enrolment in undergraduate programmes of study. Developmental education: providing remedial education courses for academically underprepared students to create a bridge to post-secondary programmes. Continuing and community education: offering short-term programmes which correspond with the needs of the communities. The vision and mission statements of the College (stated above) were then developed by a broad cross-section of the representatives from the seven constituent campuses of the College. During the early years of the College’s history (1998-2002), there was an emphasis on aligning all of the programme offerings to the North American credit-based system to facilitate horizontal transfer among the institutions. In addition, the College worked towards introducing the associate degree with its distinctive general education component to enhance the quality of the existing technical diplomas. This period also saw the introduction of the College Prep programme which catered to students who needed additional support to strengthen their academic foundations in English and Mathematics, in order to pursue tertiary level studies. When COSTAATT was formally established in 2000, its programmes reflected the full spectrum of a comprehensive community college, including engineering, agriculture, nursing and allied health sciences, business and information technologies, foreign languages, environmental studies, criminal justice, social and behavioural sciences, and the performing arts. Through the College Prep programme, the College had also established a mechanism for the seamless movement from vocational training in the trades to technical/technologist/para-professional training at the associate degree level. This mechanism was critical to empowering the national education system to deliver on one of its primary functions: to facilitate socio-economic mobility for its citizens, a key recommendation of the Ministry of Education’s White Paper (1993-2003). Although the College had been legally established as a body corporate in October 2000, no Board of Trustees was appointed to govern the College until September 2002. From 2000-2002 therefore, the nascent community college sought to maintain its momentum in an environment of uncertainty. The CCIT, continued its work in planning for the ongoing development of the College, as several studies conducted then reflected the need for the region to significantly expand its capacity to produce graduates at the technician/para-professional /technologist /mid-managerial level to drive economic diversification and development. In the period following 2002 – early 2004, a new vision for the development of the tertiary education sector in Trinidad and Tobago resulted in the establishment of the University of Trinidad and Tobago (UTT). In support of this initiative, the John S. Donaldson Technical Institute, the San Fernando Technical Institute and the Eastern Caribbean Institute of Agriculture and Forestry (ECIAF) were transferred from COSTAATT to the UTT. The Metal Industries Company Limited (MIC) was not absorbed by either COSTAATT or UTT and therefore operated independently, and the Government Vocational Centre (GVC) was placed under the jurisdiction of MIC. COSTAATT was left with a reduced range of programme offerings, drawn from the six NIHERST teaching colleges (Information Technology College, College of Nursing, College of Health Sciences, School of Languages, Business Management and General Education Divisions) and the Joint Services Staff College. During the mid-2000’s two other major reforms came into effect. The first was the implementation of the Government Assistance for Tuition Expenses (GATE) programme, a student tuition fee grant, which was intended to remove the financial barriers to accessing post-secondary and university education in Trinidad and Tobago. The second was the establishment of the Accreditation Council of Trinidad and Tobago (ACTT) as the principal authority with responsibility for regulating the operations of all post-secondary and tertiary education institutions operating in Trinidad and Tobago. The National Training Agency (NTA) which was established in 1999 retained responsibility for quality assurance of the technical-vocational education and training (TVET) institutions. Arguably, by 2005, the national tertiary education system had become more diverse as a result of these developments, but the goals of efficiency, relevance and seamlessness were still to be attained. Despite these institutional and sectoral changes, COSTAATT never lost sight of the critical importance of its role as the national community college and forged ahead with its developmental plans, all the more so, because with the absorption of the technical institutes into UTT, the College had lost most of its physical plant and was constrained to manage its growth and development in leased facilities constructed for commercial and not educational purposes. During the 2008 to 2012 period, fueled by the ready availability of GATE funding, the College experienced rapid growth – moving from programme offerings of five bachelor’s degrees and thirteen associate degrees to forty-two bachelor degrees and thirty-one associate degrees by 2012. The student population doubled from 5,039 in September 2008 to 11,631 in September 2011. In addition, in 2009, the College introduced its signature Compensatory Programmes and Academic Support Services (COMPASS) programme which, building on the original College Prep courses, offered a wider range of developmental education courses and student support services, to meet the needs of academically underprepared students who nevertheless demonstrated both the desire and the capacity, to successfully pursue tertiary level studies. Another notable achievement of the College during this period was its attainment of institutional accreditation status from the ACTT in October 2010 – making it the first institution in the country to achieve this status. This was followed in 2011 with recognition for the College’s Quality Management System (QMS) by ACTT at the inaugural Quality in Tertiary Education (QuiTE) Awards ceremony. The rapid growth in student demand and enrolment outpaced the College’s physical and human resources and in 2012, the Board and management embarked on a period of review of COSTAATT’s programme offerings and academic policies with a view to strengthening its quality management capacity. 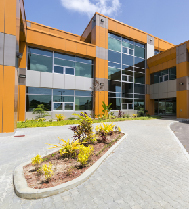 Significantly, in 2011, Government approved funding for the construction of COSTAATT’s first ever purpose-built campus on a 30-acre parcel of state lands in Chaguanas. Following an extensive quality review and stakeholder engagement exercise in 2013, management prioritised several initiatives to expedite students’ time-to-programme-completion, which had been negatively affected by limited classroom space and faculty resources to deliver the College’s mandatory core curriculum. As a result of these efforts, graduation rates increased and the College enrolment levelled out at 8,033 students across its multiple campuses in the Academic Year (AY) 2015-2016. This period also saw a sustained focus on expanding and enhancing the teaching-learning environment at several of the COSTAATT campuses. In September 2013, the College formally opened its El Dorado Campus at the Academy of Nursing and Allied Health, based on extensive refurbishment works on the former El Dorado Youth Camp for Girls. The Sangre Grande Campus, which was completed in 2012 based on the refurbishment of a cinema, was also formally opened in 2013. The College undertook to upgrade the North Learning Centre which had formally housed the NIHERST School of Languages since 1985 and repurposed the building to serve as the Ken Gordon School of Journalism and Communication Studies. The College also undertook to refurbish another commercial facility to establish a dedicated space for student services for the City Campus, which remains the highest enrolling of the six campuses of the College, and the one least able to provide the requisite range of student support services because of space constraints. The College also established a dental training facility in Diego Martin to support its dental therapy programme and formally launched its first purpose-built facility in Chaguanas, now the location of its main campus and central administrative offices, in addition to several classrooms and computer and science laboratories and a well-appointed auditorium. The experience of striving to manage both programme quality and service standards for a burgeoning student population spread across multiple facilities, which were neither designed nor adequate for tertiary level studies resulted in the development of a new Master Plan 2016 – 2030 for COSTAATT, which will support the College’s aim to attain its full potential to be a transformative force in Trinidad and Tobago.